This classic promotional item won't burst your bubble -- or your budget! Perfect for parties and favor bags. 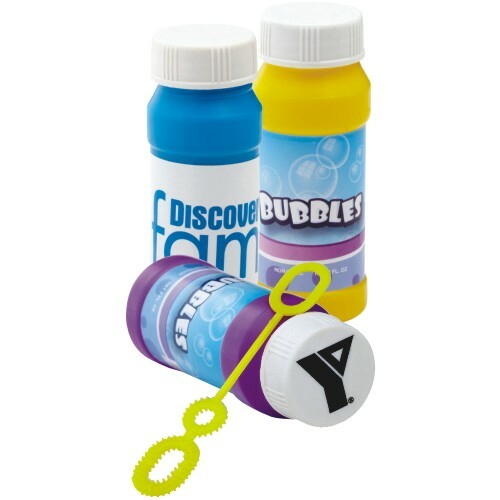 Kids and even adults will love the classic appeal of these bubble toys.Each 2 oz. bottle features your brand with a cap imprint for a promotional item that will be eye catching and irresistible at any trade show booth or fundraising event. These are also great for schools, preschools, daycare centers and other establishments that serve children. The product ships in a random assortment of colors. Invest in yours today! Bulk / 39 lbs lbs / 250 Units pcs.